The Center for Global Engagement (CGE) was established in 1998 in an effort to match Rawls College of Business students with high impact, transformative learning opportunities abroad. 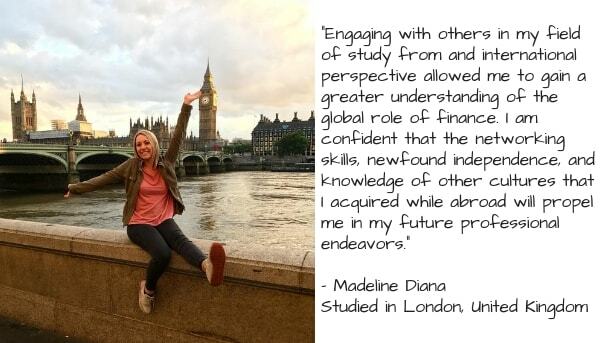 Each year, we help more than 350 students realize their dreams of studying abroad. 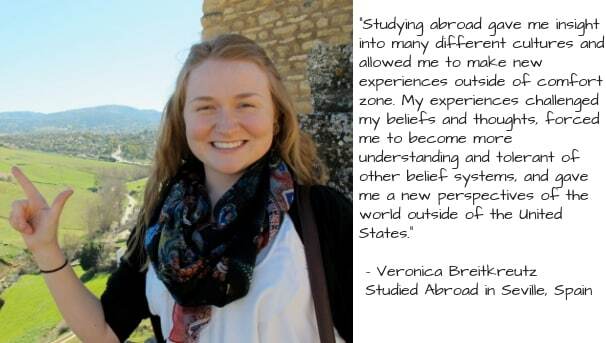 Studying abroad is much more than just visiting a new country. By studying abroad, students gain the advantage of an enhanced academic background with an international dimension, opening the door to exciting opportunities: both personally and professionally. The global skills, knowledge, and experiences that are gained while studying abroad have a profound impact on a student’s ability to compete and collaborate with graduates from around the world. Cultural Immersion. 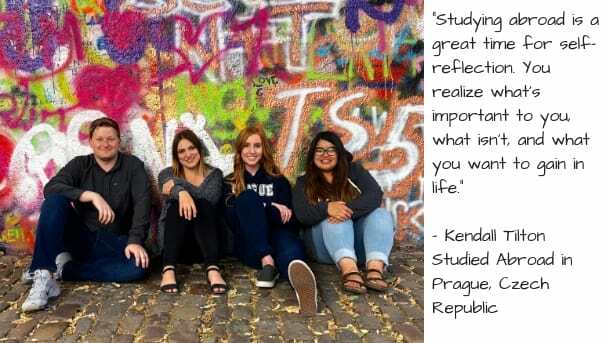 While abroad, students will be challenged to discover their strengths, think outside of the box, plan adventures, and solve new problems that arise in the windfall of international travel. Global Perspective. Students who have studied abroad have a greater intercultural understanding, better grasp the complexity of global issues, and are better equipped to work with people from other countries. Networking. While abroad, students will not only meet natives to the culture in which they are studying, but also other international students. Career Advantages. Only 4% of undergraduate students study abroad, yet the world continues to become more globalized. Through the eyes of the employer, a student who has studied abroad is seen as self-motivated, willing to embrace challenges, and able to cope with diverse problems and situations. The need for scholarship funds continues to grow. 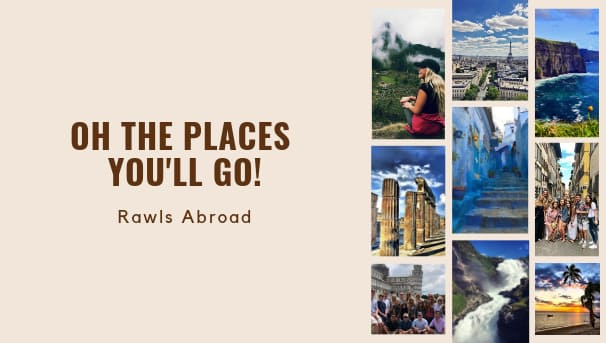 Although Rawls College of Business students remain eligible for financial aid while studying abroad, it is often not enough to cover their expenses. Donor contributions go directly to help our students cover the costs of tuition, books, airfare, housing, etc. Your generous gift invests in tomorrow’s global business leaders. Join other like-minded individuals in removing financial barriers for students who need extra assistance to fund their study abroad experience. Your $10 donation provides one meal for a student who is studying abroad. You can take great pride in your donation, knowing you are contributing to the international education experience of a deserving Rawls College of Business student. Your $25 donation will help one student gain admission to a cultural museum or historical center while abroad. In recognition of your donation, the Center for Global Engagement will send you a digital thank you message. Your $50 donation will pay the study abroad application fee for one student. In recognition of your donation, the Center for Global Engagement will send you a digital thank you message. Your $100 will ensure that one student can navigate their way through their new city with local transportation while abroad. As a thank you, your name will be listed as a 2018 donor on the Center for Global Engagement website. Your $500 donation will provide books for one student's semester abroad. You will be mailed a thank you postcard from abroad, directly from a student whom you have helped to study abroad. Your $1,000 will help fund airfare for one student to study abroad. You will receive a personalized thank you video, complete with pictures of their experience, directly from a student you have helped study abroad. This video can easily be shared with family, friends, and colleagues to show the impact your donation has made on a Rawls College of Business student.